Combine a few simple ingredients in a saucepan to make this homemade apple cranberry sauce recipe with orange and ginger! 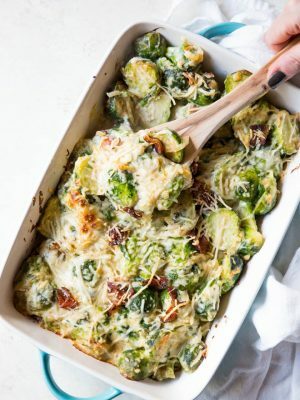 It’s packed with flavor and is paleo and naturally gluten free. 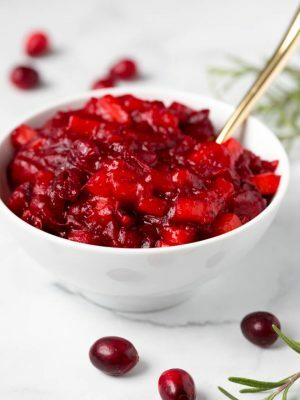 Cranberry sauce is a must on any Thanksgiving menu! I like my cranberry sauce thick, flavorful and slightly sweet. This Apple Cranberry Sauce with Orange and Ginger recipe can be made a day ahead and served with Thanksgiving dinner. 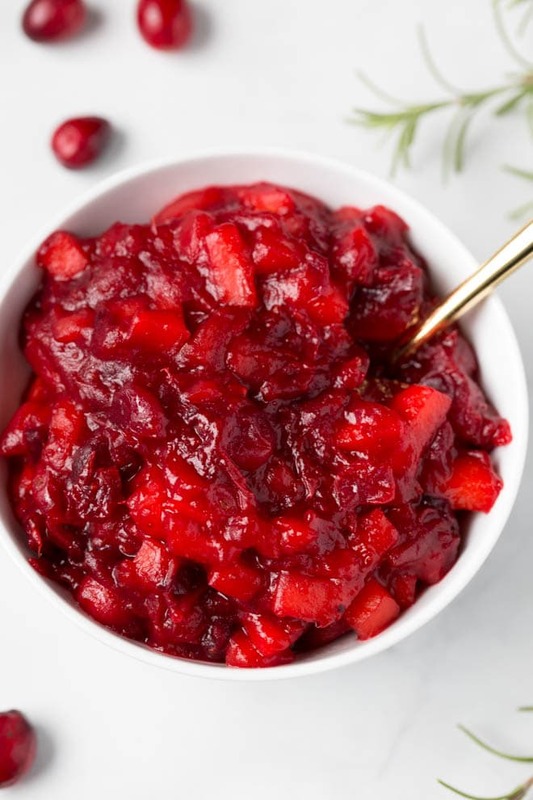 This healthy cranberry sauce is paleo and naturally gluten free. It’s also naturally sweetened with honey. 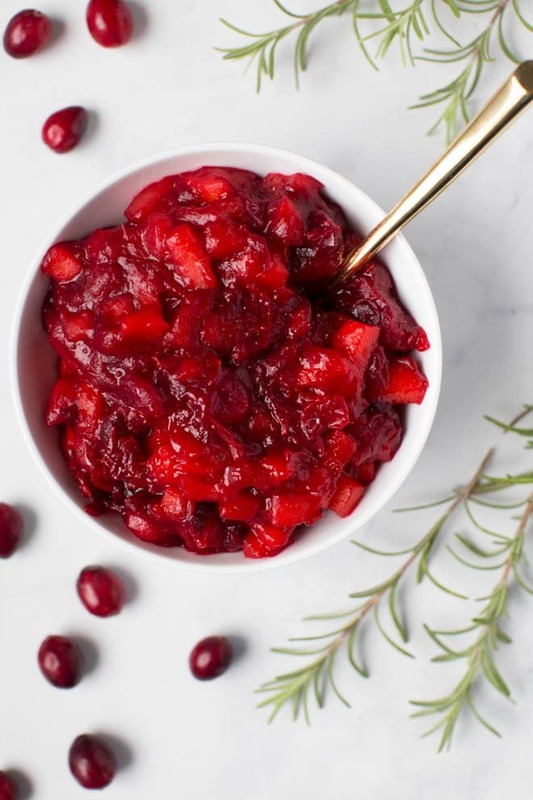 Make this cranberry sauce recipe once and it will quickly turn into a family favorite. How do you make the best cranberry sauce? The best cranberry sauce starts with fresh cranberries. We love using Naturipe Farms cranberries because they are always fresh and packed with flavor, but you can use any fresh cranberries from your local grocery store. Simmer the cranberries on a stove with other high quality ingredients like cinnamon, honey and citrus zest. How do you make cranberry sauce with apples? 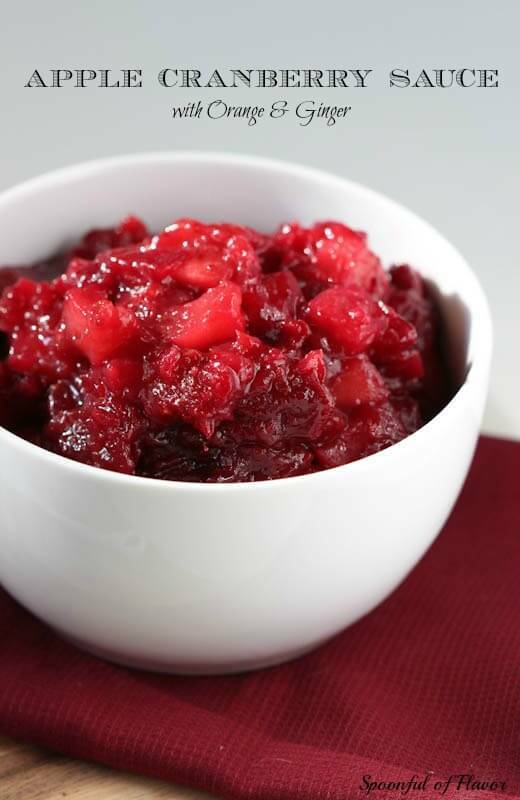 To make apple cranberry sauce, add chopped apples to a medium sauce pan with the fresh cranberries. Simmer over medium-low heat with honey, fresh ginger, cinnamon, orange juice, orange zest and balsamic vinegar. The combination of flavors creates the best apple cranberry sauce. How do you sweeten cranberry sauce? You can sweeten cranberry sauce with any sweetener. 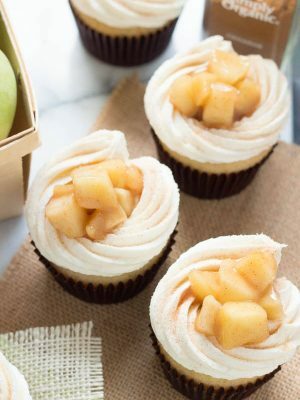 We like to use natural sweeteners like honey and maple syrup, but you can also use granulated or brown sugar, depending on your taste preference. Use a small amount of honey for a paleo cranberry sauce. What do you eat apple cranberry sauce with? 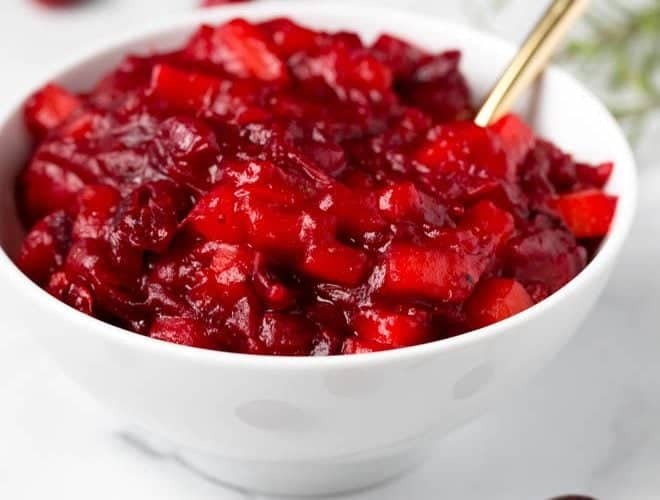 Cranberry sauce is the perfect addition to your Thanksgiving day menu. We love enjoying cranberry sauce throughout the year with our favorite dinner recipes. Enjoy homemade cranberry sauce in these Eggnog Cheesecake and Cranberry Sauce Parfaits. Or add leftover cranberry sauce to this Cranberry Dark Chocolate Chunk Steel Cut Oatmeal. 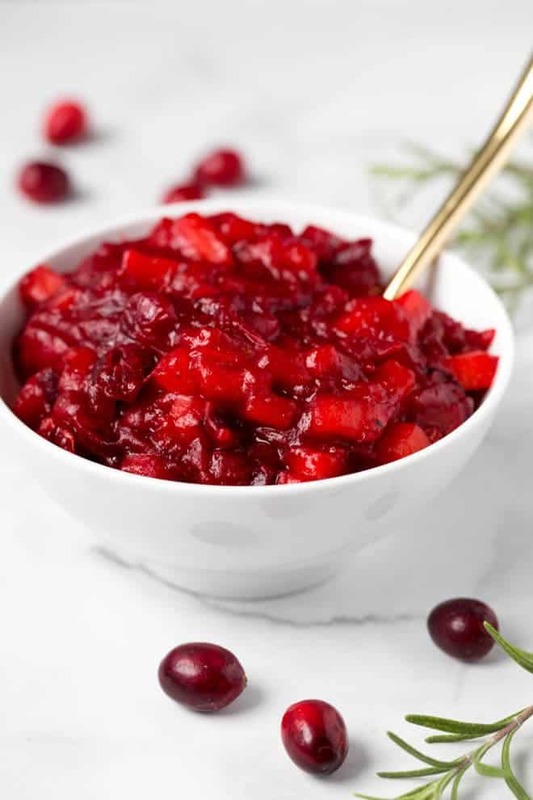 Cranberry sauce can be enjoyed with both savory and sweet meals. Combine a few simple ingredients in a saucepan to make this homemade apple cranberry sauce with orange and ginger! 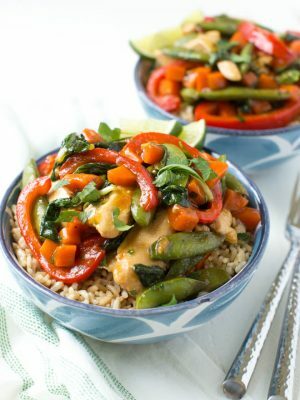 It's packed with flavor and is paleo and naturally gluten free. Combine all of the ingredients in a medium saucepan. Cook over medium-low heat for 18 to 20 minutes, until the fruit is tender and the liquid has thickened. The sauce will thicken as it cools. Serve chilled or at room temperature. *You can make the cranberry sauce a day or two in advance, store in the refrigerator and bring to room temperature just prior to serving. Cranberry and apples are 2 of my favorite flavors! Then on top of it, you brought orange and ginger into the mix, holy cow. I made this recipe for our family dinner on Thanksgiving and it was a hit! I had to double the ingredients tho, our family likes leftovers for a few days.